This week has been pretty quiet really, which is nice sometimes! 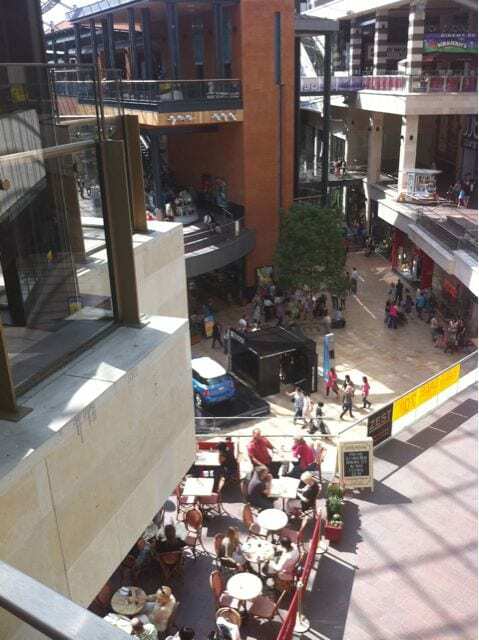 Saturday was spent at Cabot Circus – I don’t normally head to the shopping areas of town at the weekend, and was reminded why! Toooooo many people getting in my way! Sunday, the Wife and I met with Zoe and James for some nomnomTillos action. Mmm. Look at those yummy milkshakes. Sadly they were uneven, so mine was thicker than usual and Lou’s was pretty much a normal milkshake. 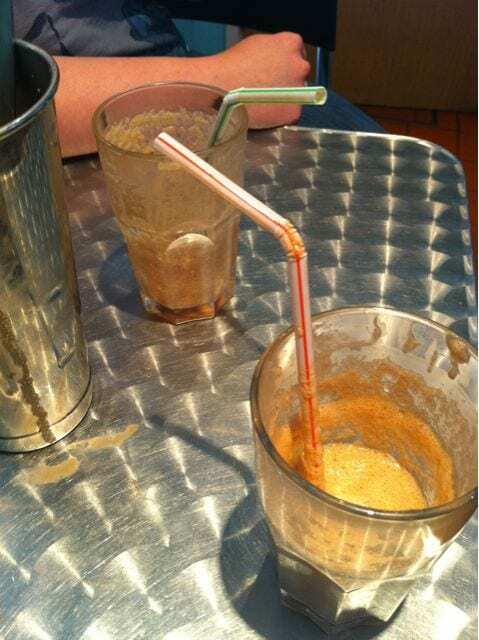 Thats just wrong, normally they’re thick enough for the straw to stand up in! 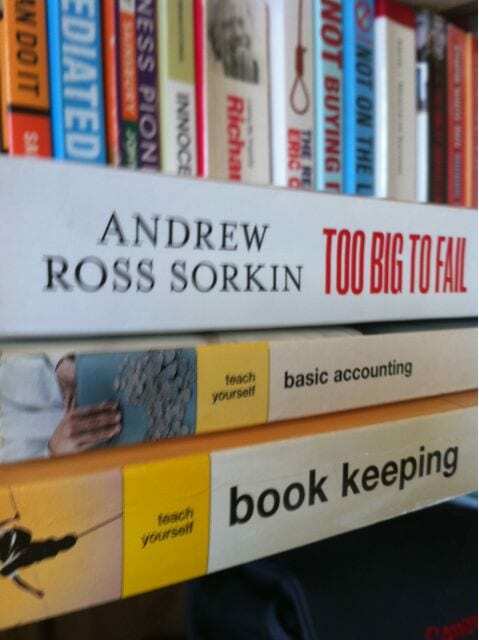 This is my reading for the week ahead – such fun! (Yeah, I know. I did a degree with lots of accounting in, but have had to buy this book to remind my brain stuff because its been 5 years (FIVE YEARS?!) since I even did anything in class. Another post which appeared this week were my answers to the questions that Tim asked me over at Foshiznik. I mention about films I’ve not seen, what my identity would become if I were in the witness protection league, and why I am not allowed Um Bongo. 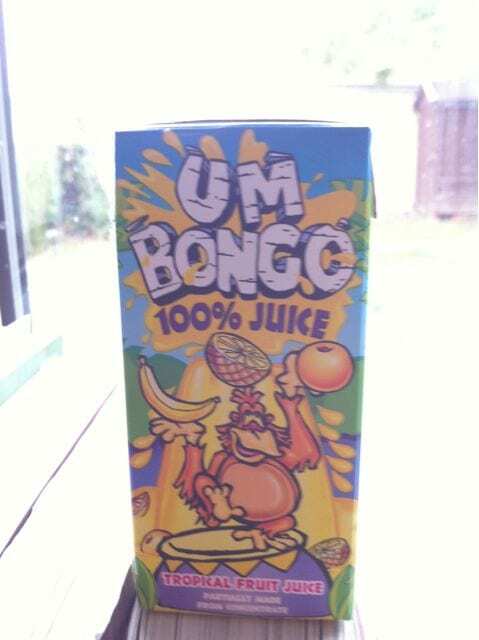 In related exciting news, I found Um Bongo at Tesco today. Sadly, it is not as full of preservatives as it once was. This is quite upsetting actually. I’ve signed up for Amazon Associates, which basically means that if I include an amazon.co.uk link into one of my blog posts, then if you go on to buy it, I get a tiny percentage. Its not going to affect what I blog about, but it would be nice to get a bit of money in from the website – I’d like to hope that eventually the website would pay for its own hosting. A far off hope I think! I’m interested to know what you lot think about this sort of thing though. Would you expect any affiliate links to be disclosed? Would this need to be done on every post, or just the affliate links marked in some way? This article about online reputation is an interesting one. I’ve been online for quite a few years, so think about what I write before anything gets published (Yeah, I know, you’re probably wondering how most of the crap I tweet or blog gets past that!) I don’t understand people who will tweet anything that comes into their head without thinking about it, then going on a deleting mission a few weeks later. Anything you put online will stay online somewhere, forever – and you can’t control that really! Of course, you can lock your Twitter, but if someone is spiteful enough, they could reproduce it. There was a point here somewhere. Tim has managed to find the much talked about lasagna sandwich and paella sandwich, both produced by Tesco. Vom. I’m a huge fan of meals between bread (no Christmas is complete without me trying to fit every veggie and meat between two slices of white bread whilst watching Dr Who) but this is just disgusting. And I’m saying that without looking at the photos that Tim has provided. Ugh. Aussie has now expanded over to Facebook, so if you love them, go be a fan of Aussie Hair! The Aussie Angels recieved an email from Emma in the week telling us that the Facebook page will have exclusive content and handy How To videos, plus thereÃ¢â‚¬â„¢ll be “lots of really, really, really, really exciting competitions”. Yay! My Race for Life sponsorship page closed today. Boo! Thank you again to everyone for helping me to beat my target of Ã‚Â£250. I’m really pleased that I did it, and can’t wait to run (yes, thats a promise!) the 5k next year. Who’s in? I thought it was amazeballs!! I want all that random crap now, you are a dangerous lady to know.